If you wish to immigrate in Spain and you have sufficient income to support yourself and your dependents you may apply for a Non-lucrative residence visa. This visa does not entitle you to work in Spain. You must have income of at least €25,560 annually, plus €6,390 per each additional family member. Income may be derived from investments, annuities, sabbaticals and any other source of income. The visa issued will have a validity of three months and fifteen days, with multiple entries and 90 days of stay in Spain. Within one month since your arrival in Spain, you must apply for a residence permit and a foreign national identity card. The residence permit is usually issued for a period of 2 years, renewable, provided that you still meet the economic requirements and you have lived at least 183 days in Spain each year. After 5 years holding the temporary residence permit, you will be eligible for permanent residency. The permanent residency will entitle you to live and work in Spain indefinitely. After 10 years of legal residency (temporary or permanent) you may be eligible for naturalization. To become a Spanish citizen, you will be required to commit to renounce your previous nationality, have financial stability, no criminal record, attend to an interview and prove your degree of integration into Spanish society, e.g. knowledge of Spanish language, culture, values and participation in Spanish social activities. Note that for nationals of Philippines, Andorra, Spanish-American countries, Equatorial Guinea, Portugal, as well as individuals with Jew Sephardic origin, may be eligible for citizenship after two years of legal residency. -	Not be in Spain with irregular immigration status. -	Be over 18 years. -	Evidence of economic means sufficient to support your stay and, depending on the case, to support your family, during the stay length you are applying for, without working. -	Negative criminal record issued in the last three months by the authorities of the country or countries where you have resided in the past 5 years, including Canada. -	Notarized document explaining why you are requesting this visa, the purpose, the place and length of your stay in Spain and any other reasons you need to explain, with a certified translation into Spanish. Spain only recognizes dual citizenship for nationals who have acquired the Spanish nationality at birth. Naturalized citizens must renounce to their previous nationality, except those from countries with which Spain has concluded a double-nationality agreement. Currently, citizens of the following countries may become Spanish naturalized citizens, without giving up their previous nationality: Andorra, Argentina, Bolivia, Brazil, Chile, Chile, Colombia, Costa Rica, Cuba, Dominican Republic, Equatorial Guinea, Ecuador, Guatemala, Honduras, Mexico, Nicaragua, Panama, Paraguay, Peru, Portugal, Puerto Rico, El Salvador, Uruguay and Venezuela. 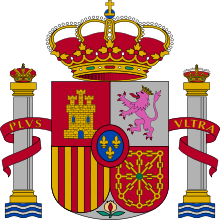 The Kingdom of Spain is a transcontinental country, member of the European Union. It is located to the south of Western Europe as well as to the north of Africa. Its territory is organized in seventeen autonomous communities and two autonomous cities, with diverse geography and cultures. In Europe, it occupies most of the Iberian peninsula, known as peninsular Spain, and the archipelago of the Balearic Islands (in the western Mediterranean sea), and two autonomous cities (Ceuta, Melilla) and an autonomous region (Canary Islands) in Africa. The peninsular territory shares land borders with France and Andorra to the north, Portugal to the west and the British territory of Gibraltar to the south. In its African territories, it shares land and sea borders with Morocco. It is inhabited by 46 million people. Its capital and most populated city is Madrid, with over 3.1 million inhabitants. Other important cities include Barcelona (1.6 m), Valencia (800,000) and Sevilla (700,000). Its official language is Spanish, along with four co-official regional languages, Catalan/Valencian, Basque, Galician and Aranese. Its official currency is the Euro (EUR). To be a tax-resident in Spain, you must spend more than 183 in the country during a calendar year or have your centre of economic activities, if it is not stated otherwise in a tax treaty. Tax-residents are subject to Personal Income Tax on their worldwide income. PIT is levied at progressive rates by the state and each autonomous region. Lowest combined top marginal tax rate is 43.5% in Madrid (annual income exceeding €60,000), and the highest is 48% in Catalonia (annual income exceeding €175,000.20) and Andalusia (annual income exceeding €120,000). Savings income is taxed at progressive rates between 19% and 23%, savings income includes capital gains and investment income such as dividends and interests. Rental income is taxed at personal income tax general rates. Non-residents are subject to Non-resident income tax at a flat rate of 24% on income from Spanish-source. If non-resident is a resident within the EEA that has concluded a tax exchange of information agreement, he or she will be subject to a reduced rate of 19%. Regarding dividends, capital gains and interests, they are subject to a 19% tax, unless tax rate is reduced under a tax treaty. Spain has enacted extensive controlled foreign company rules, under which, income retained in a non-EU controlled foreign company may be attributable. Municipalities levy a real property tax up to 1.3% on the cadastral value of the property. Transfer of real properties, which are not subject to V.A.T., may be taxed at 6% tax rate, although this may vary according the autonomous region. Inheritance and gift tax ranges from 7.65% to 34%, although it may be higher in some autonomous regions. Net worth tax is levied at progressive rates between 0.2% to 2.5%, each autonomous region sets its own minimum amount exempt and its own scale rates. Madrid does not levy net worth tax. The V.A.T. standard rate is 21%. Certain goods and services are taxed at 10%, 4%, 0% or exempt. Regarding corporate taxation, resident entities are subject to 25% income tax on their worldwide income. To learn more about Spanish corporate taxation, legal framework and tax treaties, visit incorporations.io/spain. Flag Theory | Passports.IO and our qualified attorney in Spain, will guide you through each step of the process to ensure that it is as fast, efficient, pain free as possible. We will send you the application forms, and provide assistance to complete the questionnaires, translate and legalize supporting documents. Once you provide the application form completed and supporting documents, application must be submitted to your country residence closest embassy or consulate. The application should be processed in a maximum period of 3 months. After your application is approved, you may come Spain to start your residency permit procedures. Our lawyer in Spain, will guide you through this process. For further information on Spanish non-lucrative residency and detailed procedures, contact us for a free private consultation.